Port tacked the start in strong breeze (full main & No. 3 / chicken shute) but lost out to first mark and played catch up for rest of race. 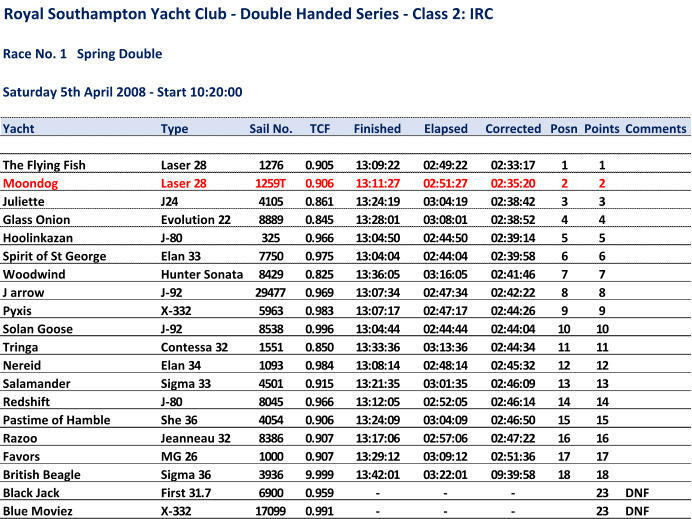 Made some progress on the leading bunch of boats and came in 2nd on corrected which was better than expected.